The Starlock ACZ 100 BB blade delivers wide and deep flush cuts in wood, metal and plastic. 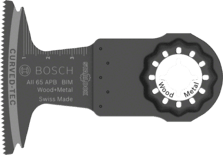 Broad cuts in door frames and smaller mouldings as well as long cuts on the floor are made possible by the blade’s extra-wide 100 mm diameter. 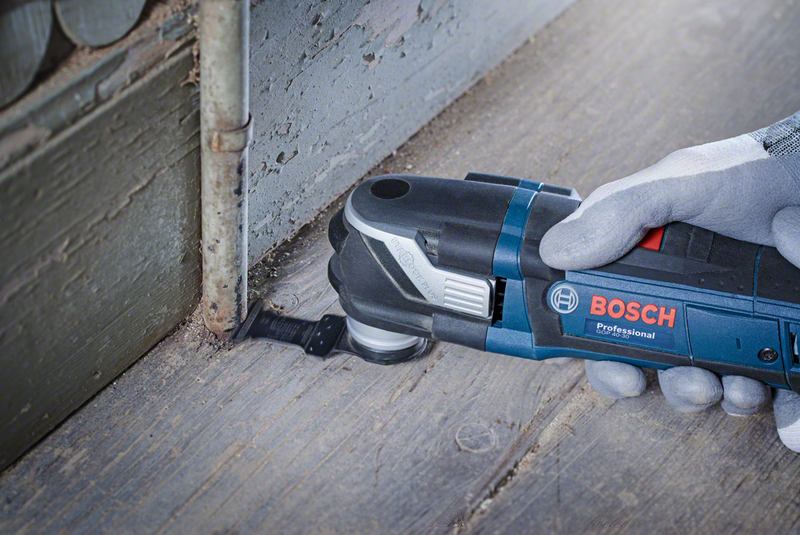 These broad cuts are reinforced by Bosch’s patented circular welding technology that prevents jamming and reduces burn marks. This exclusive technology welds a wider HSS (high-speed steel) strip onto a thinner HCS (high carbon steel) base body, resulting in teeth that are freestanding and tough. 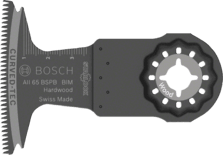 The blade is suitable for use with all Starlock, Starlock Plus and Starlock Max power tools as well as common multi-tools. 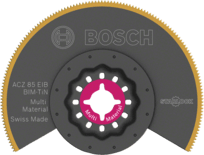 When cutting non-hardened metals and abrasive materials, the BIM (bi-metal) combination of an HCS blade and HSS teeth resists wear and heat, ensuring a long life for the blade. 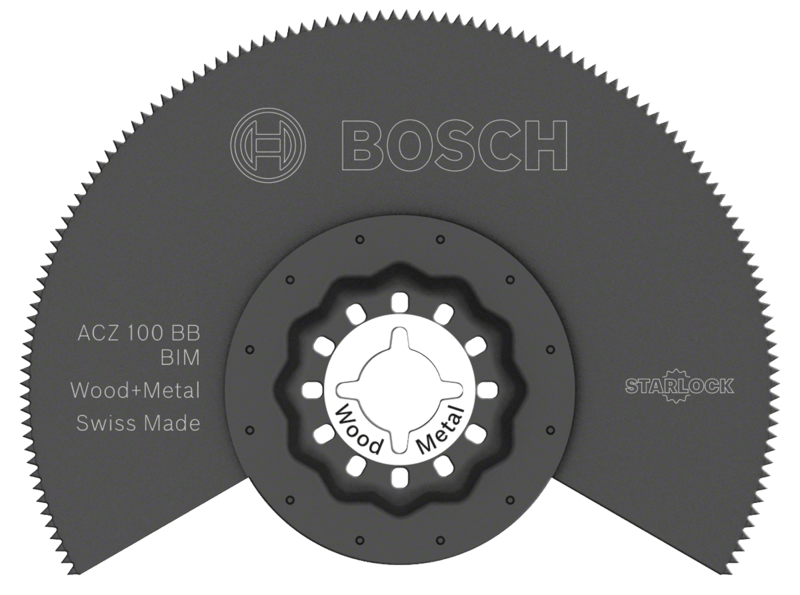 Furthermore, this pointed segment saw blade enables cutting right into corners. The Starlock Snap-In mounting system allows fast blade removal and exchange within 3 seconds without having to touch the blade. The mounting system produces the highest power transfer thanks to a 3-dimensional tight-fitting connection between machine and accessory.